Acupuncture has been thoroughly studied in high quality studies. The result is that we know, yes we know, that acupuncture is just an elaborate placebo – a scam. A reputable journal is claiming that low quality evidence contradicts what we know and we should ignore the high quality evidence. So why did the Medical Journal of Australia fall for this? Are their reviewers incompetent, dishonest, or is there some other reason for misleading their readers with bad research? You stick special needles into magic qi spots on the patient’s body, in order to affect the body’s magic energy. Not mitochondrial energy. Not any real measurable energy, but some psychic powers, some Stephen King kind of energy. Any competent/honest researcher would compare acupuncture with a valid placebo. What is a valid placebo? A valid placebo is one that the patient believes is the treatment being studied. If the treatment comes in a pill, you provide a pill that is indistinguishable from the pill, but without the active ingredient. If the treatment is to jab you with needles, you provide an experience that is indistinguishable from the needles, but without influencing any mechanism of action the proponents claim makes the needles work. How do we get people to believe they are being stabbed with needles in magic qi spots, without actually stabbing them with needles in magic qi spots? Use toothpicks at spots that acupuncture specialists specify are definitely not magic qi spots. Does this study use a valid placebo? No. This study uses jargon and misdirection to distract us from the only important part of this study. This study is just propaganda. It doesn’t matter where you put the needles. It doesn’t matter if you use needles. All that matters is that you believe in voodoo. We already knew that acupuncture is merely fancy voodoo, with the needles going into the patient, rather than the doll. These researchers want us to ignore the high quality evidence and pretend that the man behind the curtain is as great and powerful as he initially claims to be. Cohen MM, Smit V, Andrianopoulos N, Ben-Meir M, Taylor DM, Parker SJ, Xue CC, Cameron PA.
Med J Aust. 2017 Jun 19;206(11):494-499. Cherkin DC, Sherman KJ, Avins AL, Erro JH, Ichikawa L, Barlow WE, Delaney K, Hawkes R, Hamilton L, Pressman A, Khalsa PS, Deyo RA. Arch Intern Med. 2009 May 11;169(9):858-66. doi: 10.1001/archinternmed.2009.65. In conclusion, acupuncture-like treatments significantly improved function in persons with chronic low back pain. However, the finding that benefits of real acupuncture needling were no greater than those of non-insertive stimulation raises questions about acupuncture’s purported mechanism of action. Clin J Pain. 2008 Mar-Apr;24(3):211-8. Correction 01-07-2019 – This study used real acupuncture sites, but did not use real needles and the skin was not punctured. The patients outcomes were significantly better in the fake needle group. The sham group improved significantly more than the true acupuncture group during the treatment period, but this advantage was not sustained 1 month after treatment ended. The difference in pain between sham and true acupuncture groups at the end of treatment (0.75 points on 10-point scale), although statistically significant, probably does not represent a clinically discernible difference. Kaptchuk TJ, Stason WB, Davis RB, Legedza AR, Schnyer RN, Kerr CE, Stone DA, Nam BH, Kirsch I, Goldman RH. BMJ. 2006 Feb 18;332(7538):391-7. Epub 2006 Feb 1. Acupuncture for Menopausal Hot Flashes: A Randomized Trial. Ee C, Xue C, Chondros P, Myers SP, French SD, Teede H, Pirotta M.
Ann Intern Med. 2016 Feb 2;164(3):146-54. doi: 10.7326/M15-1380. Epub 2016 Jan 19. What does elaborate placebo mean? Acupuncture requires a lot of investment on the part of the patient. A more elaborate placebo might be fire walking. I don’t know of any research on fire walking as a treatment for pain, but I would not be surprised if it is extremely effective. Image credit. Do not try at home. If the essence of acupuncture is the magic of the qi points, but the same effect is produced when staying away from the qi points, the qi points are not doing anything. This study did not use a sham acupuncture group. We have no reason to expect real acupuncture to provide more pain relief than sham acupuncture, so how should we use this information? Should we have people providing fake acupuncture in the ED (Emergency Department)? Since it is not the acupuncture, but the patient’s reaction to the ceremony of the placebo that appears to be providing the pain relief, how many different ways might we vary the treatment to improve the placebo effect? Should we set up a fire walking pit? What are the ethical concerns of using placebo medicine, when the placebo appears to provide similar, but safer, relief than real medicine? What are the ethical concerns of using deception to treat patients? How to lie to patients, so that . . . .
What is the best scam to relieve pain? How much integrity do we sacrifice? Since the ED does not appear to be the source of the increase in opioid addiction, should we sacrifice any integrity in pursuit of placebo treatments? We have an epidemic of opioid addiction because of excessive prescriptions for long-term pain. The answer is not to try to create an epidemic of magical thinking. And thank you to Dr. Ryan Radecki of Emergency Medicine Literature of Note for providing me with a copy of the paper. Placebo effect of medication cost in Parkinson disease: a randomized double-blind study. Espay AJ, Norris MM, Eliassen JC, Dwivedi A, Smith MS, Banks C, Allendorfer JB, Lang AE, Fleck DE, Linke MJ, Szaflarski JP. Neurology. 2015 Feb 24;84(8):794-802. doi: 10.1212/WNL.0000000000001282. Epub 2015 Jan 28. CONCLUSION: Expensive placebo significantly improved motor function and decreased brain activation in a direction and magnitude comparable to, albeit less than, levodopa. Perceptions of cost are capable of altering the placebo response in clinical studies. Waber RL, Shiv B, Carmon Z, Ariely D.
JAMA. 2008 Mar 5;299(9):1016-7. doi: 10.1001/jama.299.9.1016. No abstract available. These results are consistent with described phenomena of commercial variables affecting quality expectations1 and expectations influencing therapeutic efficacy.4 Placebo responses to commercial features have many potential clinical implications. For example, they may help explain the popularity of high-cost medical therapies (eg, cyclooxygenase 2 inhibitors) over inexpensive, widely available alternatives (eg, over-the-counter nonsteroidal anti-inflammatory drugs) and why patients switching from branded medications may report that their generic equivalents are less effective. * Correction 01-08-2019 – I was wrong to include this study in those that used fake qi points. In this study real acupuncture sites were used, but not real needles, so this study only examined the justification for using needles, not the effect of the locations. The other studies, did use fake acupuncture locations and did show that the location also does not matter. In a twist that the acupuncturist cannot explain, the patients outcomes were significantly better in the group that did not use real needles. Grissa MH, Baccouche H, Boubaker H, Beltaief K, Bzeouich N, Fredj N, Msolli MA, Boukef R, Bouida W, Nouira S.
ClinicalTrials.gov page for this study. What changed, or almost changed in 2015? Withholding epinephrine (adrenaline in Commonwealth countries) in cardiac arrest is still heresy. This use of epinephrine is not based on evidence of improved outcomes that matter to patients – unless the patient is a pig/dog/rat with no heart disease having an artificially produced cardiac arrest. The Jacobs trial ways sabotaged by politicians, the media, and other opponents of science claiming that depriving patients of the standard witchcraft is unethical. Using inadequately tested hunches on uninformed patients, as long as everyone else is doing it, appears to be their idea of ethical behavior. However, the Paramedic2 trial has been underway for about a year and should provide results in 2018. There probably is some benefit for cardiac arrest patients who are not having heart attacks, but we do not currently try to identify them. We also do not know what dose or frequency is best or when to give epinephrine. Paramedic2 will only be able to answer some of those questions. Withholding ventilation is a less defended heresy, at least in Pennsylvania. There is concern that delivery of chest compressions without assisted ventilation for prolonged periods could be less effective than conventional CPR (compressions plus breaths) because the arterial oxygen content will decrease as CPR duration increases. There is no evidence to support this fear, but using reason against irrational beliefs is often unsuccessful, since the irrational appeals to emotion and avoids reason. Medical directors have been recognizing that backboards were used because of irrational fear and assumptions of benefit that were based on hunches. Therefore many medical directors now recognize the absurdity of the use of this malpractice device and discourage the use of backboards. Pennsylvania has also removed chilled IV fluid from protocols following the failure of the treatment to improve outcomes for cardiac arrest patients, when given by EMS. Chilled IV fluid therapeutic hypothermia does work in the hospital, but not when provided by EMS. This is one of the reasons EMS should not automatically adopt treatments that work in the hospital. It is difficult for many in EMS to understand, but many in EMS still think that occasionally intubating a patient makes a paramedic as good as an anesthesiologist. Our current ambulance system is based on little scientific evidence. The scary thing for patients is that many in EMS are proud of our ignorance. Elsewhere in medicine in 2015. Thousands of Americans travel to regions with outbreaks of Ebola and help to stop the spread of infection. This was in spite of the panic being encouraged by the scientifically illiterate. We should have welcomed them home as we welcome home out military. Both of these groups of Americans risk their lives to protect others and should be treated better. They are far more ethical than our isolationist politicians. We learned that we need to add rats to the growing list of the non-human animals that exhibit empathy and will sacrifice to help others. It appears that comparing those who opposed sending Americans to rats is unfair to the rats. Finally, 2015 was the 100th anniversary of Albert Einstein explaining that Isaac Newton was wrong about gravity, but that is the way science improves. PS – We also had push dose pressors added to the Pennsylvania protocols in 2015. Edited 12-27-2018 to correct link to pdf of Jacobs study in footnote 1. 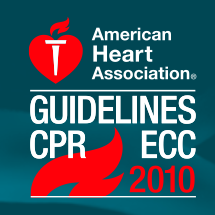 What do the AHA (American Heart Association) and ILCOR (International Liaison Committee on Resuscitation) plan to make their recommendation on use of epinephrine (Adrenaline in Commonwealth countries) in cardiac arrest (ACLS – Advanced Cardiac Life Support)? Among adults who are in cardiac arrest in any setting (P), does does use of epinephrine (I), compared with placebo or not using epinephrine (C), change Survival with Favorable neurological/functional outcome at discharge, 30 days, 60 days, 180 days AND/OR 1 year, Survival only at discharge, 30 days, 60 days, 180 days AND/OR 1 year, ROSC (O)? The Patients are adults who are in cardiac arrest in any setting. The Intervention is use of epinephrine. The Comparison is placebo or not using epinephrine. The Outcome is a bit complicated – Survival with Favorable neurological/functional outcome at discharge, 30 days, 60 days, 180 days AND/OR 1 year, Survival only at discharge, 30 days, 60 days, 180 days AND/OR 1 year, ROSC. ROSC is Return Of Spontaneous Circulation. Everything is reasonable – until they get to the outcome. Does anyone still think that it is really an improvement to get pulses back, be transported to the hospital, never wake up, and die in the ED (Emergency Department) or ICU (Intensive Care Unit)? What if the coma lasts for 30 days, 60 days, 180 days AND/OR 1 year. If you think that is an improvement, you may not have considered the cost. How much is it worth to give a family false hope? $10,000? Who pays for this deception? Should we also try putting the patient in a helicopter to see if the magic rotor blades make the family feel that everything possible was done to deceive them? These are considered to be important, because we do not seem to know what is important. Why are ROSC and survival to admission considered important? Where is the evidence that these measurements lead to better outcomes? Studies that look at these outcomes show that real world patients treated with epinephrine are more likely to die in the hospital – and those who do not die in the hospital are more likely to have severe neurological impairment. Is Adrenaline beneficial in cardiac arrest? Probably, but only for some patients and we do not know which patients benefit. Is Adrenaline harmful in cardiac arrest? Probably, but only for some patients and we do not know which patients are harmed. The evidence evaluation focused on the Jacobs study, which is randomized and placebo controlled, but only reaches the level of fair according to the analysis of all of the evidence. The reason is that politicians and the media combined to sabotage the study. Most of the ambulance services dropped out of the Jacobs study because of this interference. This is not the fault of Dr. Ian G. Jacobs, who deserves credit for setting up the first randomized placebo controlled study of this important topic. We need to bring back the Indeterminate class of recommendation for ACLS, because that is the best that we can come up with for epinephrine, unless we ignore the evidence or we just don’t understand the evidence. Does the proposed ACLS recommendation on epinephrine makes sense? 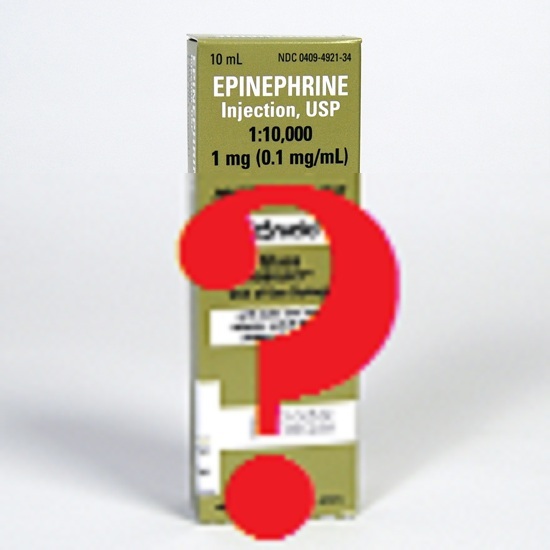 Consider that we do not know which patients benefit from epinephrine. The treatment for every cause of cardiac arrest includes epinephrine as the first drug, even if the cause of cardiac arrest is known to be an overdose of epinephrine. Is epinephrine better than nothing for some patients in cardiac arrest? Yes. Is epinephrine worse than nothing for some patients in cardiac arrest? Yes. We do not know which patients we are harming with epinephrine and we don’t seem to want to stop harming those patients. Vasopressors in cardiac arrest: a systematic review. Larabee TM, Liu KY, Campbell JA, Little CM. Resuscitation. 2012 Aug;83(8):932-9. Epub 2012 Mar 15. CONCLUSION: There are few studies that compare vasopressors to placebo in resuscitation from cardiac arrest. Epinephrine is associated with improvement in short term survival outcomes as compared to placebo, but no long-term survival benefit has been demonstrated. Vasopressin is equivalent for use as an initial vasopressor when compared to epinephrine during resuscitation from cardiac arrest. There is a short-term, but no long-term, survival benefit when using high dose vs. standard dose epinephrine during resuscitation from cardiac arrest. There are no alternative vasopressors that provide a long-term survival benefit when compared to epinephrine. There is limited data on the use of vasopressors in the pediatric population. High dose and standard dose adrenaline do not alter survival, compared with placebo, in cardiac arrest. Woodhouse SP, Cox S, Boyd P, Case C, Weber M.
Herlitz J, Ekström L, Wennerblom B, Axelsson A, Bång A, Holmberg S.
Ann Emerg Med. 2007 Dec;50(6):635-42. Epub 2007 May 23. Outcome when adrenaline (epinephrine) was actually given vs. not given – post hoc analysis of a randomized clinical trial. Olasveengen TM, Wik L, Sunde K, Steen PA.
 Impact of early intravenous epinephrine administration on outcomes following out-of-hospital cardiac arrest. Hayashi Y, Iwami T, Kitamura T, Nishiuchi T, Kajino K, Sakai T, Nishiyama C, Nitta M, Hiraide A, Kai T.
Circ J. 2012;76(7):1639-45. Epub 2012 Apr 5. Free Full Text from Circulation Japan. I have modified this table solely for the purpose of clarity of presentation, by modifying color and font. None of the words have been changed. Edited 12-27-2018 to correct link to pdf of Jacobs study in footnote 8.